Here's this week's free printable. I've been going through a health kick lately. This means eating with lots of fresh fruits and vegetables in my diet. This means eating smaller portions but more regularly so that I'm eating 5-6 times a day, and also, doing a few exercises. 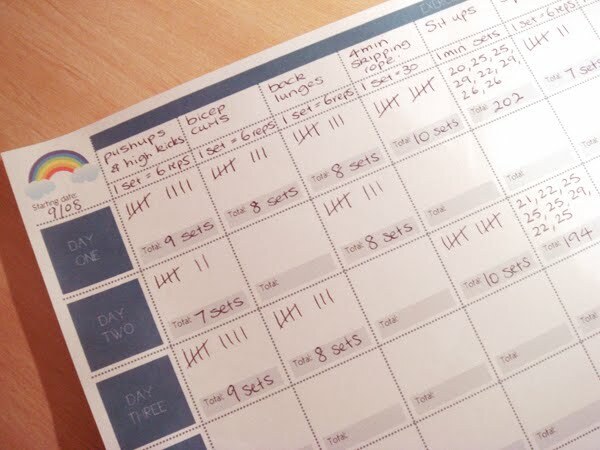 This has prompted me to design an exercise diary to keep track of the exercises I'm doing, and the number of sets I am able to accomplish in that week, so that the next week I can try and beat that number! So I've decided to share this with all of you too! 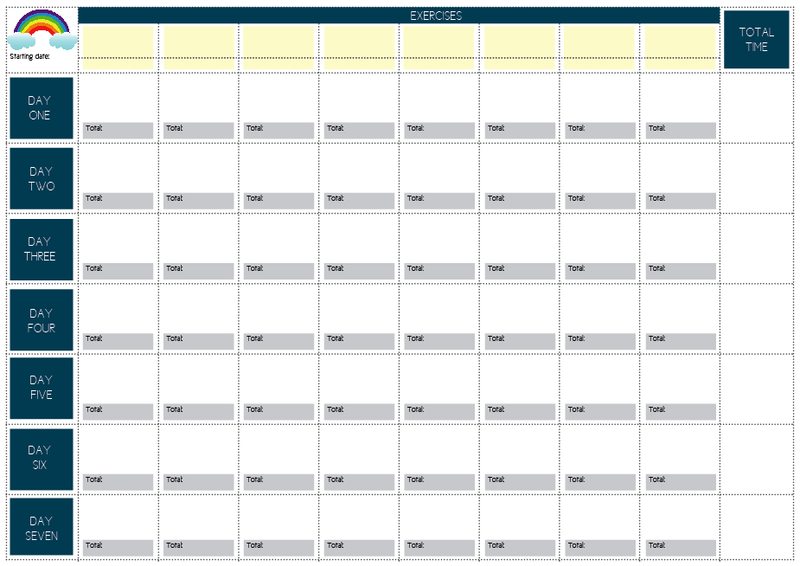 Just download and print the free printable and fill it in with the exercises you do. In the top row, you specify the type of exercise, the little box beneath is where you can write how many reps is in 1 set. 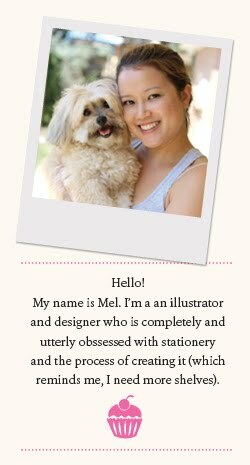 Or however you would like to describe your exercise. 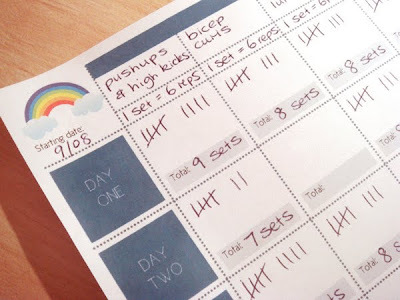 Then each day, you tally the number in the corresponding box, write the total and the total time taken to complete the entire workout on the right hand column. Next week, print the same table and do the same and see how much better you can do! Enjoy. I hope this helps. p.p.s Yeah I need to work on my photography skills... Anyone got any tips? I know I should do it during the day with the sun, but my unit doesn't get much sun... and it's winter!